What do you get when you mix a bit of peated Ardbeg from Islay, and some Speyside Craigellachie? 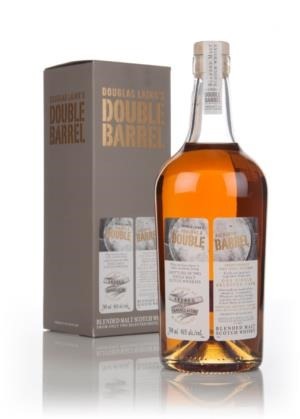 You get a very nice blended malt which is the the double barrel A/C bottled by Douglas Laing. They have quite a few of those mix and match blended malts, which for some reason I’ve never tasted, until now. Some would say it is sacrilege, some would sat it’s science. I do love a nice blended malt from time to time. Let’s see how the mix turned out. Nose: Gentle whiffs of peat smoke , and citrus mainly ripe oranges and also sweet malt and fresh pastries, and a touch of pine needles, a bit salty too. Palate: Smokier and Peatier with a honeyed sweetness as well as white pepper and chilly. theer are also some wood spices and ginger. fresh pastries are still there as well as a touch of sweet cocoa, quite creamy too. Finish: lingering sweet pastries and peat smoke, and nuts. The vatting did not produce something spectacular, but this dram is lovely nonetheless. Not ultra complex, but you get the smoke and peat, with the addition of fruit and creaminess, which all mix quite well. A nice daily dram this is, if you’re looking for a touch of smoke and peat, on top of sweeter creamier and fruitier notes. Not a bad at £57 (not cheap too, I know). I quite liked it, but if we’re talking VFM it’s OK, no more.